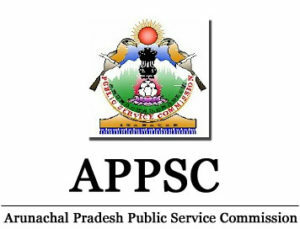 APPSC Jobs Recruitment Notification 2019.Arunachal Pradesh Public Service Commission inviting applications for the positions of Field Investigators.Interested and Eligible candidates can apply for the positions. Last Date for Submission of Application is on March 08th, 2019. As per Advertisement No-PSC-R(B)/08/2018, 33 Field Investigator empty positions are to be filled in Economics & Statistics Department, Arunachal Pradesh. Candidates who pursued Bachelor of Commerce/ Arts/ Science/ Statistics from any recognized university can apply. To apply for APPSC recruitment applicants must have minimum 18 years and maximum age for 32 years as on 08th March 2019. The age relaxation is as per Govt of Arunachal Pradesh norms. Between Rs.9,300-34,800/- the aspirants selected as investigators will get monthly. There will be written examination for 300 marks and viva-voce for 40 marks. Contenders who scores good will be hired by the selection commission. Candidates visit https://appsconline.in/ and directly click on “Apply Now” button. Fill all the details and upload the required documents needed. At last click on the Submit button.